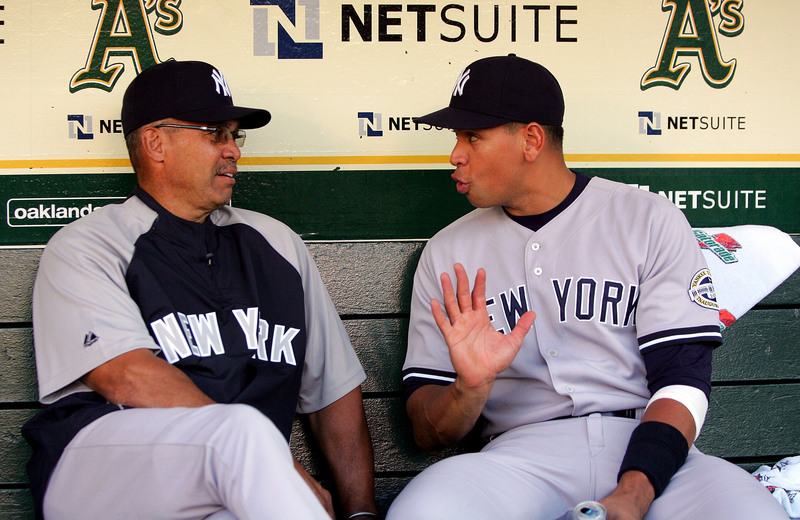 (AP) NEW YORK - The New York Yankees have told Mr. October to stay away this summer. The Yankees want Reggie Jackson to steer clear of the clubhouse and team events following his pointed remarks about Alex Rodriguez and several former stars, a person familiar with the situation told The Associated Press on Monday. The Hall of Famer will lay low for several weeks, the person told the AP on condition of anonymity because there was no formal announcement. Jackson was not disciplined or fined, and will remain as a special adviser to the Yankees. ESPN initially reported Jackson would be indefinitely absent from the Yankees. Jackson recently was quoted by Sports Illustrated as saying some of Rodriguez's statistics were tainted because the Yankees slugger had admitted using performance-enhancing drugs. Jackson has spoken to Rodriguez since then to explain his comments. Jackson also said he didn't see Gary Carter, Kirby Puckett and others as Hall of Famers. The MVP of the 1977 World Series with the Yankees was told not to travel to Boston last weekend for New York's four-game series at Fenway Park to avoid becoming a distraction. The Yankees will contact Jackson when they want him back on the scene, the person said. Jackson was on the field in Kansas City on Monday night for the All-Star Home Run Derby and waved to the crowd. He did not hold an interview session. Jackson told SI that A-Rod was a friend, adding: "But I think there are real questions about his numbers. As much as I like him, what he admitted about his usage does cloud some of his records." The former star also said there were several players that he didn't view as worthy of Cooperstown. "I didn't see Kirby Puckett as a Hall of Famer. I didn't see Gary Carter as a Hall of Famer. I didn't see Don Sutton as a Hall of Famer. I didn't see Phil Niekro as a Hall of Famer. As much as I like Jim Rice, I'm not so sure he's a Hall of Famer," Jackson was quoted by SI. Carter died in February and several former players have criticized the timing of Jackson's remarks. The person indicated Jackson was reaching out to the families of Carter and Puckett, as well as the Hall of Famers he mentioned.